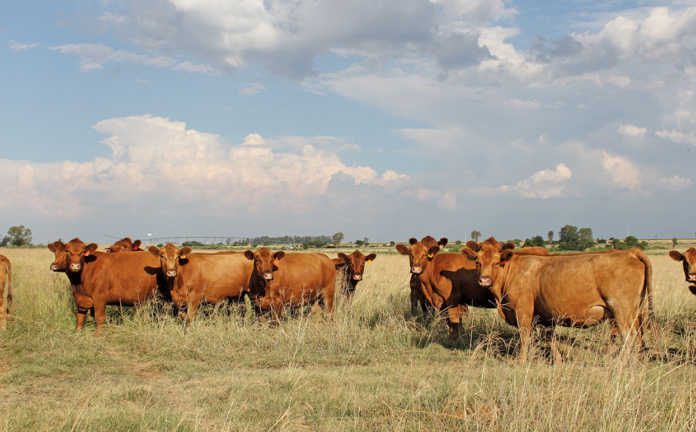 Veterinarian Dr Jan du Preez discusses the top five diseases that South African farmers should guard against to ensure that their cattle and their bottom-line are not negatively affected. Brucellosis affects cattle, goats and sheep and is currently the most problematic disease for SA farmers. Farmers should aim for healthy and disease-free animals that are cost-effective and create prosperity on farms. “If your animals aren’t healthy, you cannot make money,” says Dr Jan du Preez, vet and managing director for the Institute for Dairy Technology. Diseases are prone to infect healthy animals as this ensures their own survivial, thus vaccination is crucial. However, says Du Preez, no vaccination guarantees 100% safety, and a keen eye and time spent with one’s livestock is necessary for early disease detection. Although different diseases may affect different geographical areas, he identifies five diseases that will be a concern throughout South Africa in 2016. Despite being a state-controlled disease, brucellosis is spreading through South Africa at a rapid rate, and is currently the number one disease that farmers should be concerned about. “It can destroy our livestock sector if it’s not brought under control,” says Du Preez. Between 3% and 9% of heifers born from infected cows may be latently infected (that is, without obvious symptoms). Such heifers often test negative for the disease in serological tests until about 18 months, by which time they may be pregnant or with their first calf. “These heifers are a huge problem. If farmers, vets and auctioneers don’t stand together in curbing this disease, we will never manage to bring it under control,” stresses Du Preez. 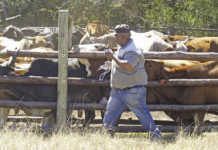 The disease is spread mainly when farmers sell and move infected animals. The problem is that infected animals show no clinical signs of disease and their eating habits do not change. The only sign that a pregnant cow carrying the disease will show is abortion after five to seven months of pregnancy. However, such a symptom is also common to other diseases. Bulls do not play a significant role in spreading brucellosis, therefore contracting the disease through them is not as great a threat. Brucellosis is a zoonosis, making it especially dangerous.Animals with brucellosis may be slaughtered, but special arrangements have to be made with an abattoir. The cow’s udder, reproduction system and lymph nodes have to be cut away, as the germ persists in these areas. Germs occur in milk and are also retained in the afterbirth. Animals may eat the afterbirth and contract brucellosis in this way. Humans can contract the disease by coming into contact with the afterbirth. Butchers who do not wear special protective clothing are at risk of becoming infected, should tiny drops of infected material get in their eyes or through microscopic cuts in the skin. “A zoonosis can ruin a person’s life. If diagnosed too late, it can be very serious. Symptoms such as depression, back pain, biphasic fever and muscle pain can persist for a lifetime,” says Du Preez. Animals must be vaccinated at the correct time against brucellosis, and a vet should be consulted in this regard. By law, all heifers must be vaccinated against brucellosis between the ages of four to eight months. When brucellosis occurs in a herd, infected animals must be quarantined and cannot be sold. Although ultra-heat treatment (UHT) and pasteurisation kills the germ in milk, according to law, raw milk intended for further processing must be free from pathogenic organisms. Lumpy skin disease is a notifiable disease in South Africa, in accordance with the Animal Disease Act 35 of 1984. It is also a World Organisation for Animal Health-listed disease. The disease is spread by the poxvirus and usually occurs during the wet summer and autumn months, especially when there are high insect populations. In addition, certain ticks can carry the disease, which means it can occur in winter. Most infected animals show no visible clinical signs. The disease is spread through the saliva of infected animals and by infected animals rubbing against healthy animals, transferring it through skin lesions. Clinical signs of lumpy skin disease include sores on the inside of the mouth, nose and sexual organs. According to surveys, lumpy skin disease is widespread among unvaccinated animals. Infected animals will not eat. Small sores will develop on the inside of an animal’s mouth, nose and sexual organs. If the disease is present in a herd, a large number of animals will suddenly abort. An outbreak usually affects 1% to 2% of a herd, but rarely more than 3% of infected animals will die. Lumpy skin disease can be prevented and controlled effectively through annual vaccination, but animals vaccinated during the disease’s incubation period still become infected. Infected animals cannot be sold commercially. Animals showing serious symptoms of lumpy skin disease must be culled and buried. Redwater is a tick-borne disease listed with the World Organisation for Animal Health. Despite both African and Asiatic redwater being responsible for many cattle mortalities in South Africa, it is not a state- controlled or notifiable disease in this country. It is often transferred between animals when farmers vaccinate multiple animals with the same needle. 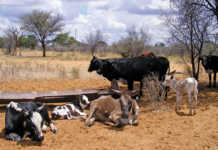 Asiatic and African redwater are responsible for many cattle deaths in South Africa. Despite this, it is not a controlled or notifiable disease in this country. 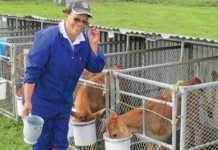 “Mortalities need not occur if all calves are vaccinated with blood vaccines before eight months,” says Du Preez. However, calves must not be vaccinated before two months of age, because passive immunity – transferred from the cow – may negatively influence the vaccine. Infection of the unborn calf can occur, resulting in abortion or death of the calf shortly after birth. Cattle infected with redwater will have red or brown urine (blood in the urine) and a high temperature of between 41°C and 42°C. (The norm is 37°C to 38°C.) The mucosa of the eye is pale. Infected animals will not eat, are listless, and their skin may have an unsmooth appearance. Muscle tremors occur and animals react strongly to handling and noise. “Farmers must be alert to make an early diagnosis. Look for behavioural changes. If you see that an animal is ill, chances are it has been ill for several days and the disease is already at an advanced stage,” says Du Preez. If cattle are infected with redwater, it is important to contact a vet as soon as possible. Asiatic and African redwater have no cross-protection; vaccinating for one does not protect against the other. Contact your vet. Although redwater cannot be transferred to humans, infected animals cannot be slaughtered, as the carcass has been affected. Three-day stiff-sickness (TDS) is spread by midges that carry the virus. The virus causes large economic losses in the dairy industry as a result of dramatic losses in milk production capacity. The Brahman breed is highly susceptible to the disease. TDS usually disappears with the first frosts, but cases have been recorded in winter. How and where the virus overwinters is unknown. Milk production in infected cows drops dramatically. Even after recovery, the cow is unlikely to regain its previous production level. Bulls that contract TDS temporarily cannot breed. However, infected cows account for the greatest financial loss, as infected pregnant cows may abort. Three-day stiff-sickness accounts for major losses in the dairy industry. Pregnant cows abort and milk production decreases dramatically. Animals that contract TDS must be fed for three days, and injected with anti-inflammatory medication. Some animals with TDS become permanently paralysed. The cause of spinal cord damage (degeneration) that causes paralysis is not known. Mortalities usually occur in less than 1% of animals that are in good condition when they contract the disease. Vaccination is cheap and will stop 99% of animals from contracting TDS. TDS vaccines are not always available on the market for long periods, a major source of frustration for farmers. Gas gangrene is an acute and deadly disease caused by toxaemia (blood poisoning). It is rife in South Africa. There are many types of gas gangrene, including black quarter, swollen head and malignant oedema. It is therefore sometimes difficult to reach a correct diagnosis as each disease type displays similar symptoms. It is caused by several different bacteria (individually or in combination), and animals must be vaccinated with combined vaccines against different disease strains. Some animals carry the bacteria in their gut but appear to be healthy. Gas gangrene is common in South Africa. Infected animals rarely show symptoms and are usually found dead prior to a diagnosis being made. These animals spread the bacteria from camp to camp or from farm to farm via their faeces. Once in the soil, the spores can survive for a number of years. Animals that contract gas gangrene rarely exhibit clinical symptoms, and infected animals are usually found dead before being diagnosed. According to Du Preez, farmers should make use of trusted transport companies when transporting animals to ensure that the disease is not spread in this way.